Since it is officially august, i can say less than a month till this beauty is in my hands!! I plan on re-reading the first books in the series to prepare but really i am ready for this on now. is it september yet?? I am a huge sucker for the-boy-next-door plots and everything everything just adds that extra twist to the plot. I’ve heard nothing but goods things from early reviewers and I’m just really excited for this book. Plus as an added bonus, Nicola Yoon is going to be at YallFest this year! So let’s get this month over with, cause I’m ready for fall releases. QoS: YESSSSSS!!! I’m so excited for that book! 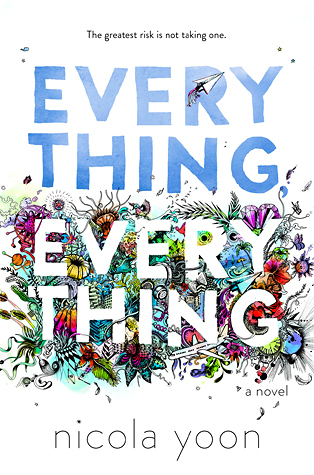 Really excited for Everything, Everything as well. So many glowing reviews! QoS. NATURALLY. I cannot wait!